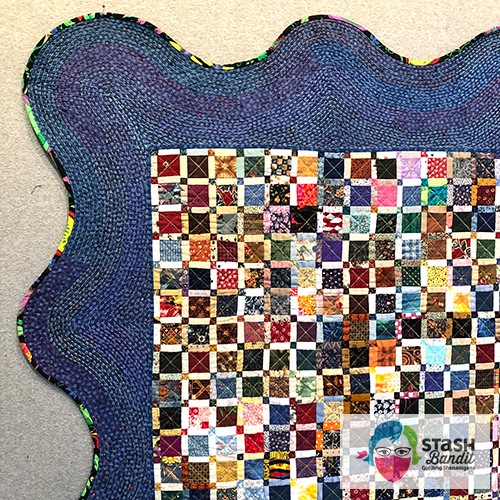 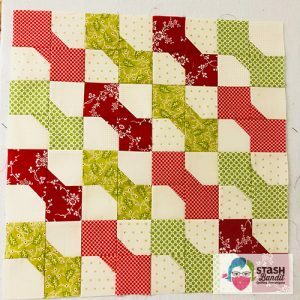 During the early fall and again after Thanksgiving, I’ve been piecing a scrappy version of Christmas Figs by Joanna Figueroa of Fig Tree Quilts, published by the Fat Quarter Shop. 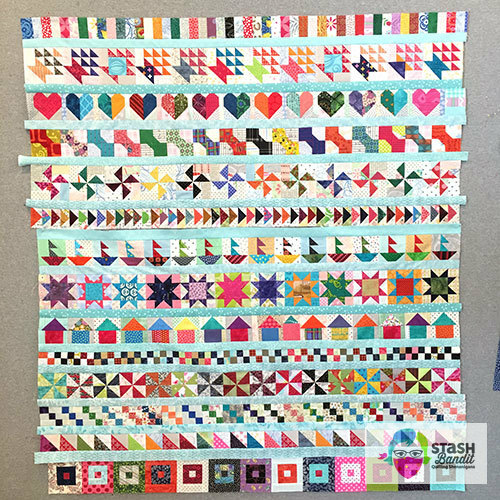 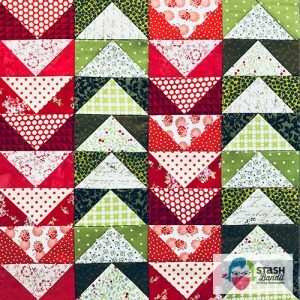 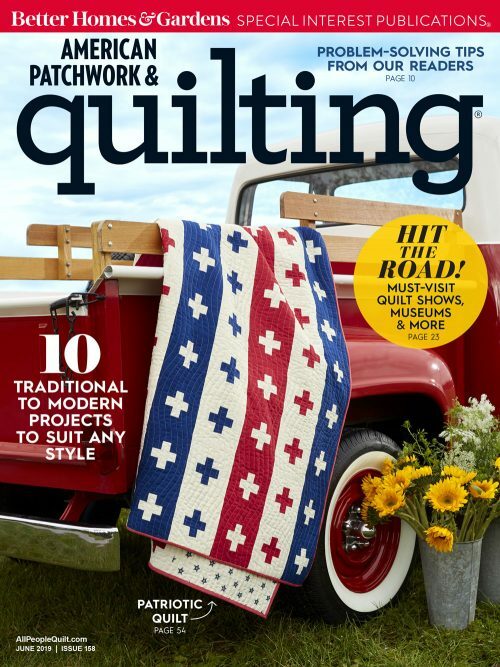 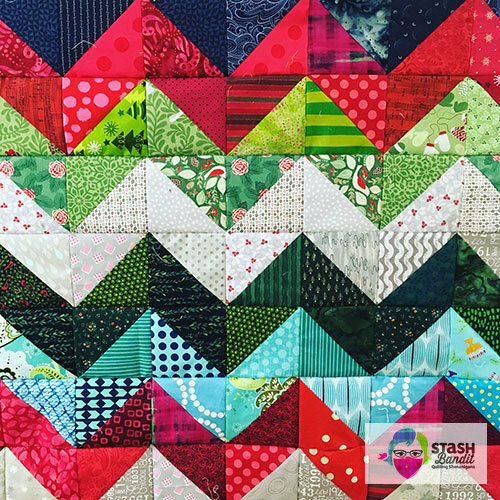 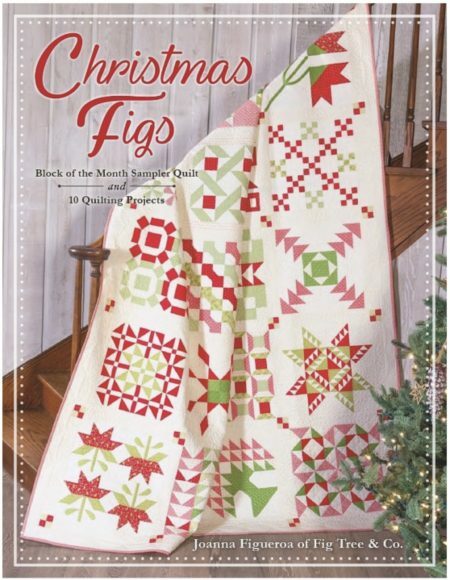 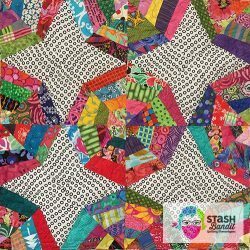 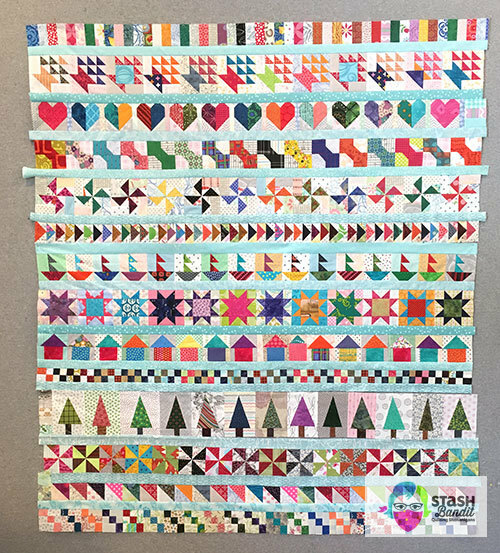 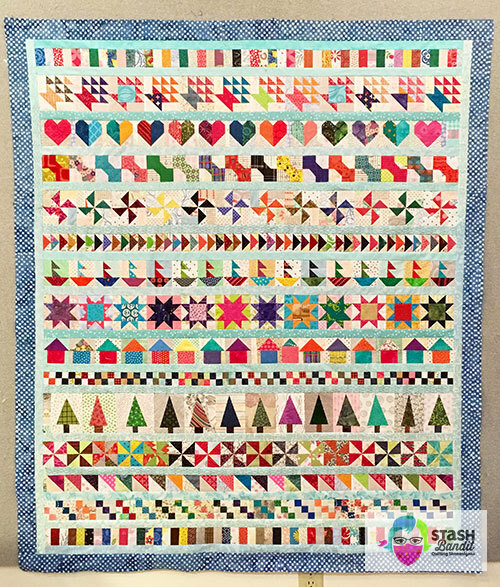 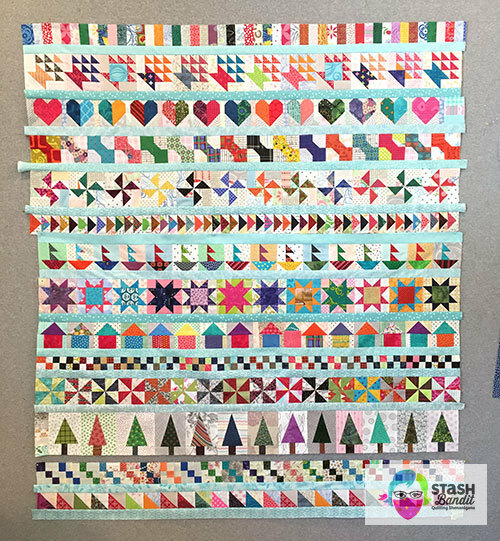 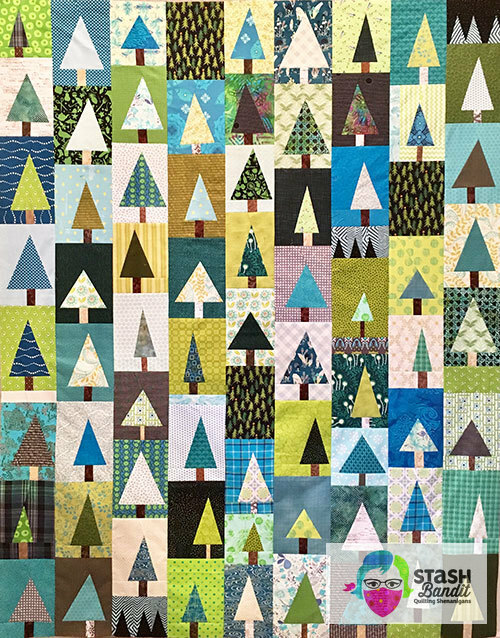 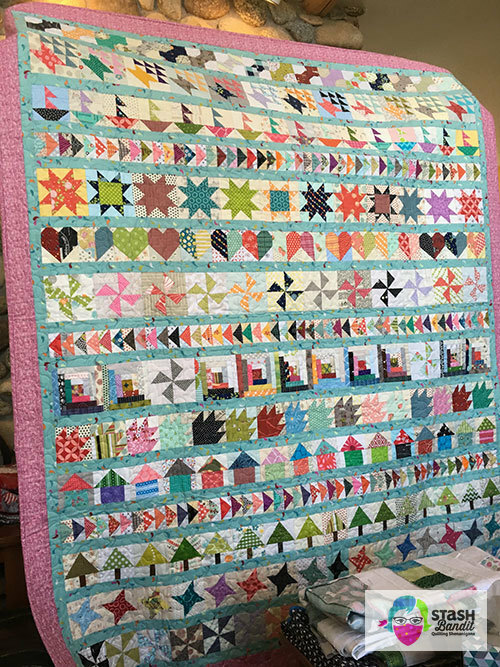 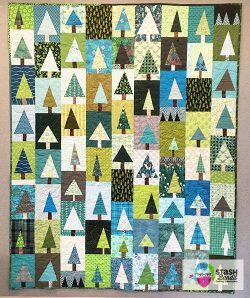 Their quilt features the Christmas Figs fabric line by Fig Tree for Moda Fabrics. 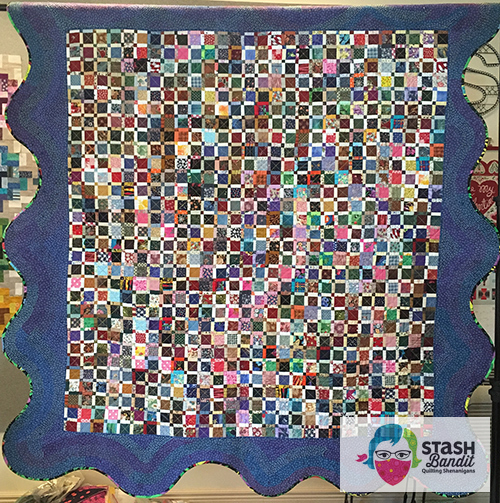 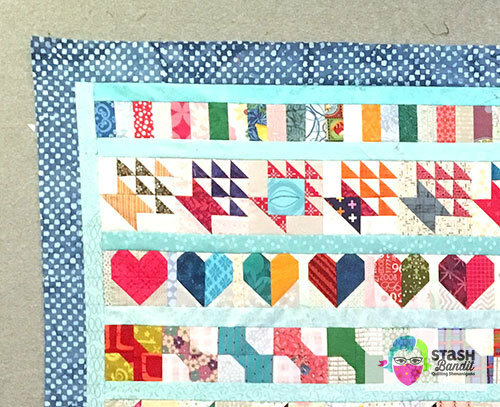 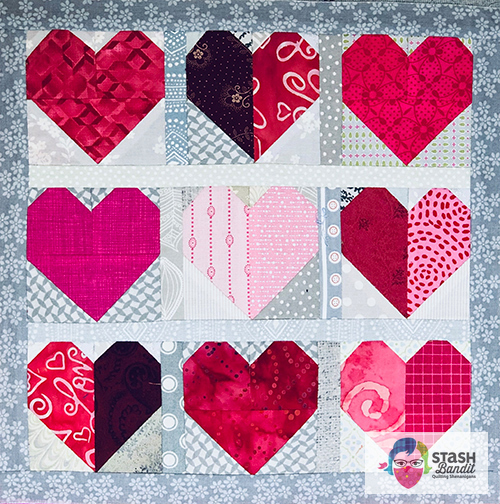 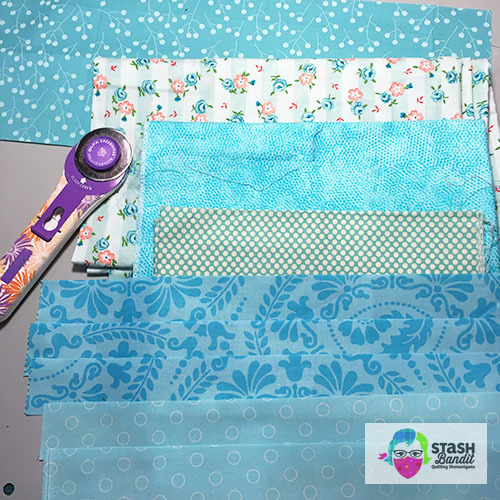 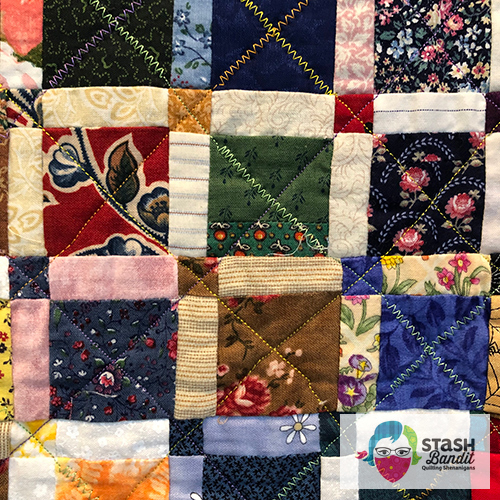 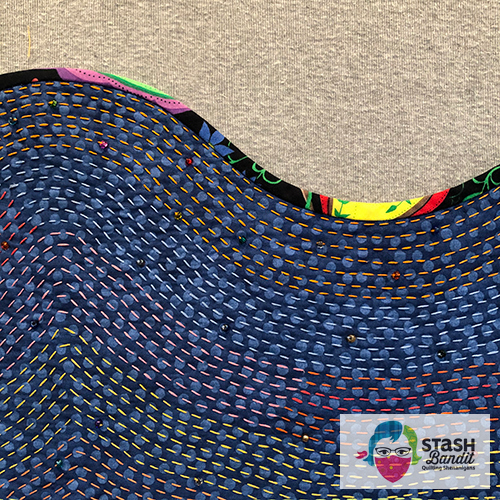 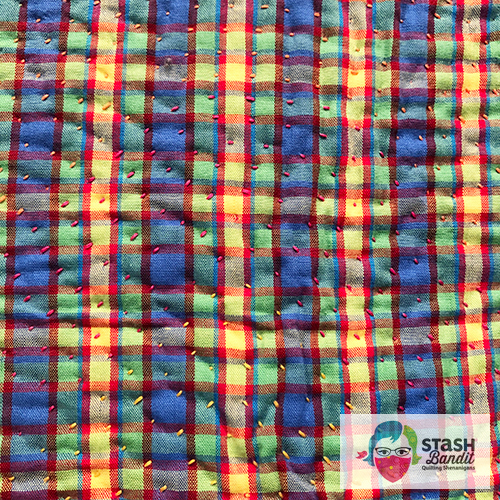 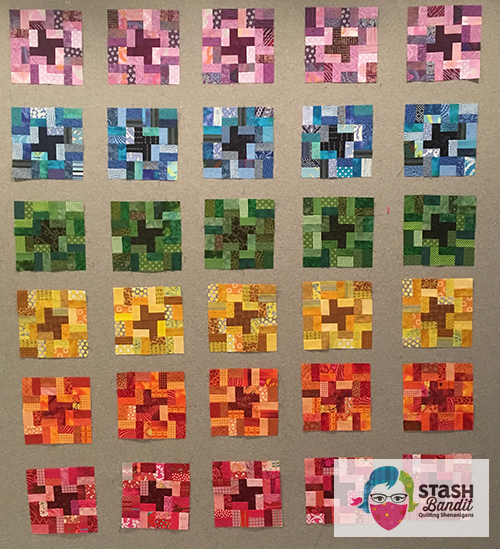 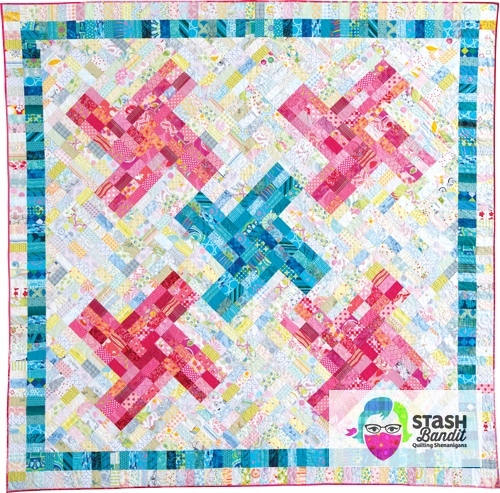 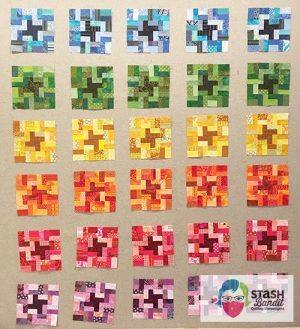 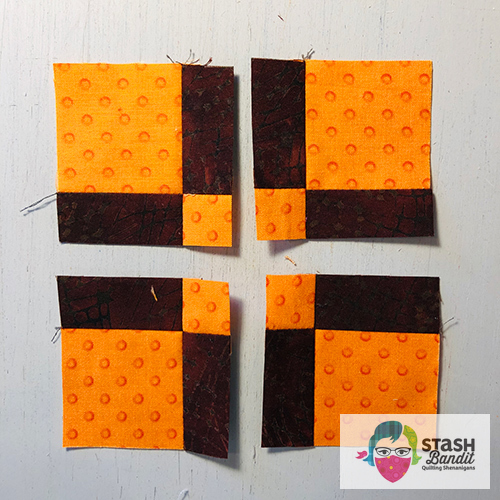 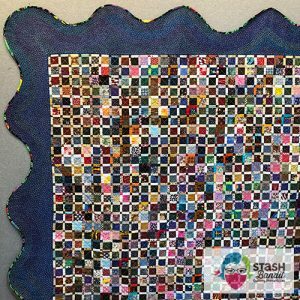 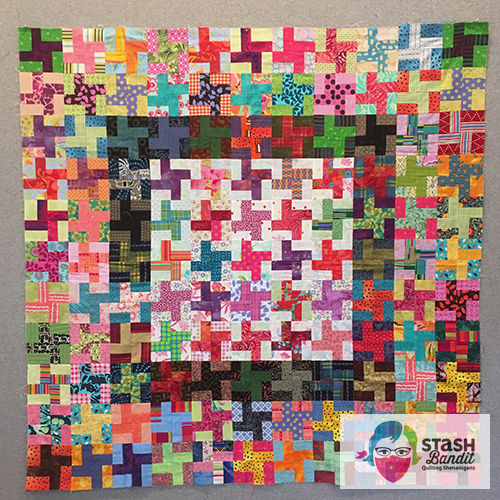 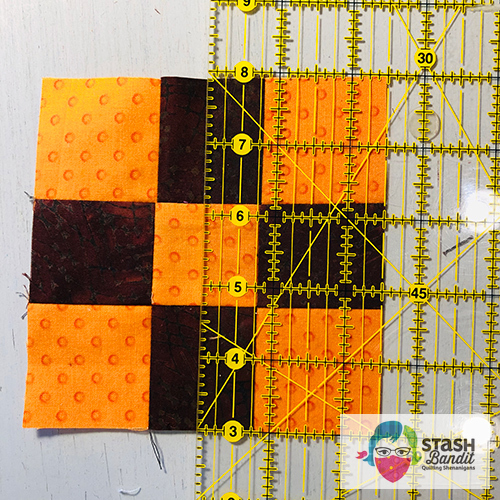 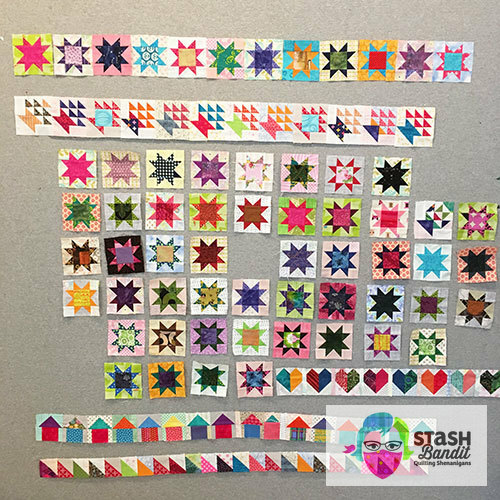 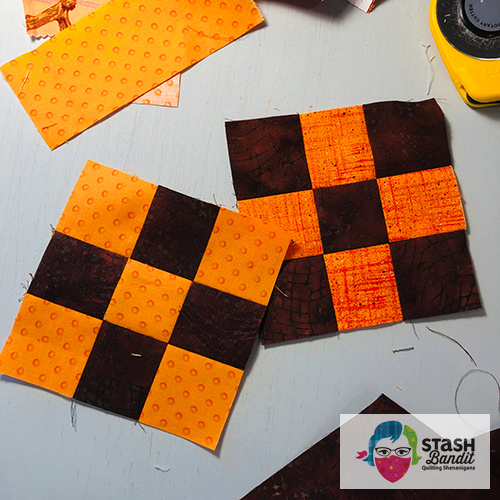 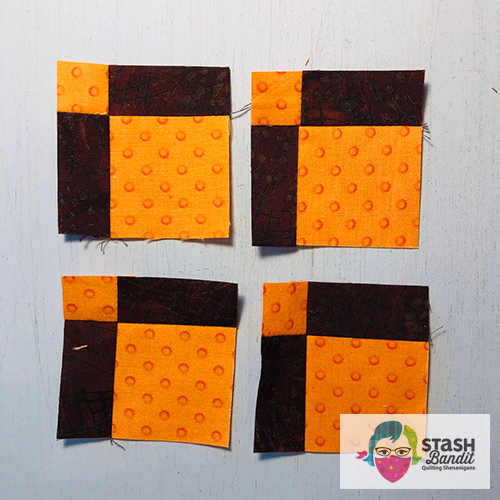 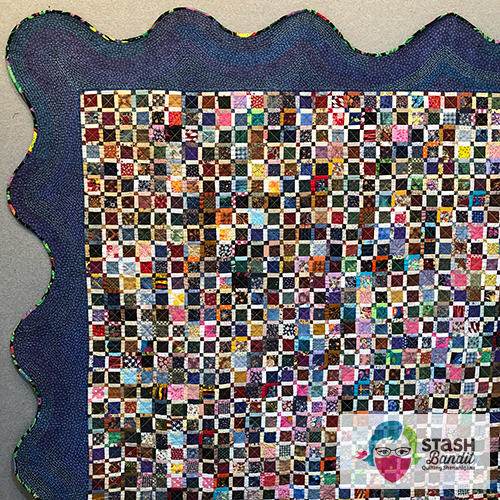 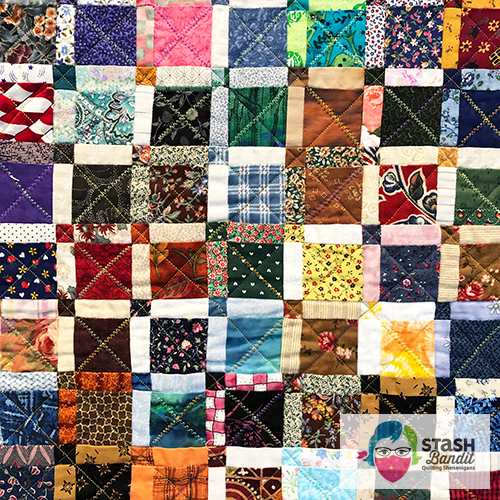 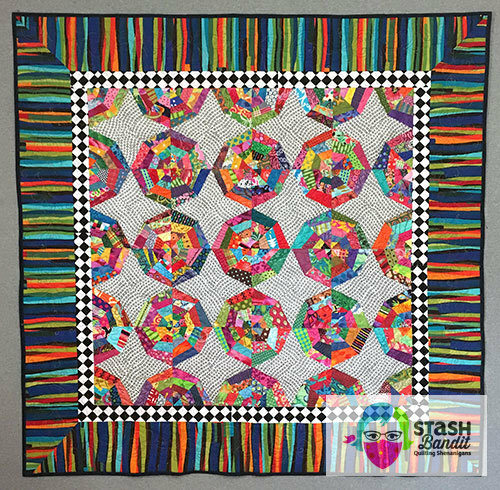 I had a fat quarter bundle of those fabrics that I’d purchased, and that’s what I used for the first few blocks. 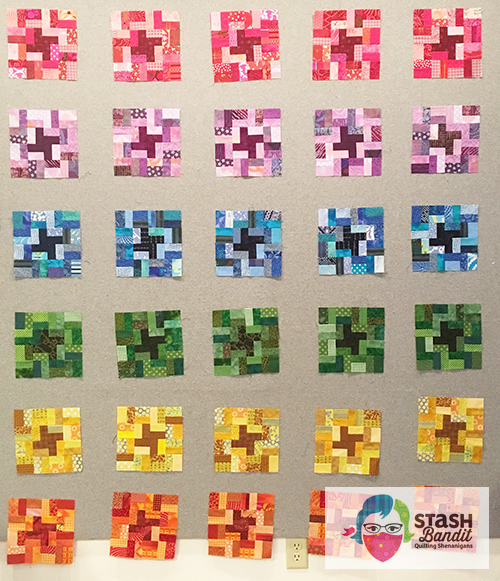 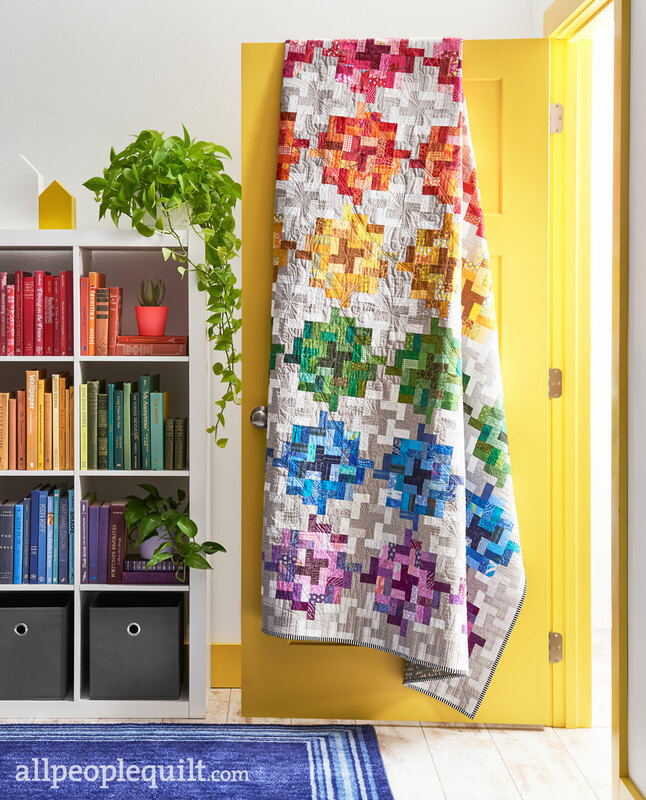 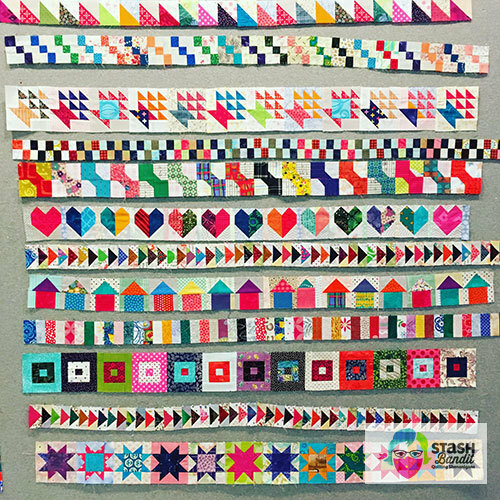 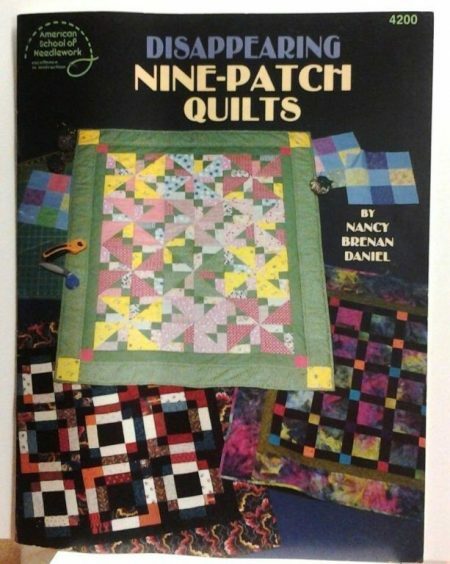 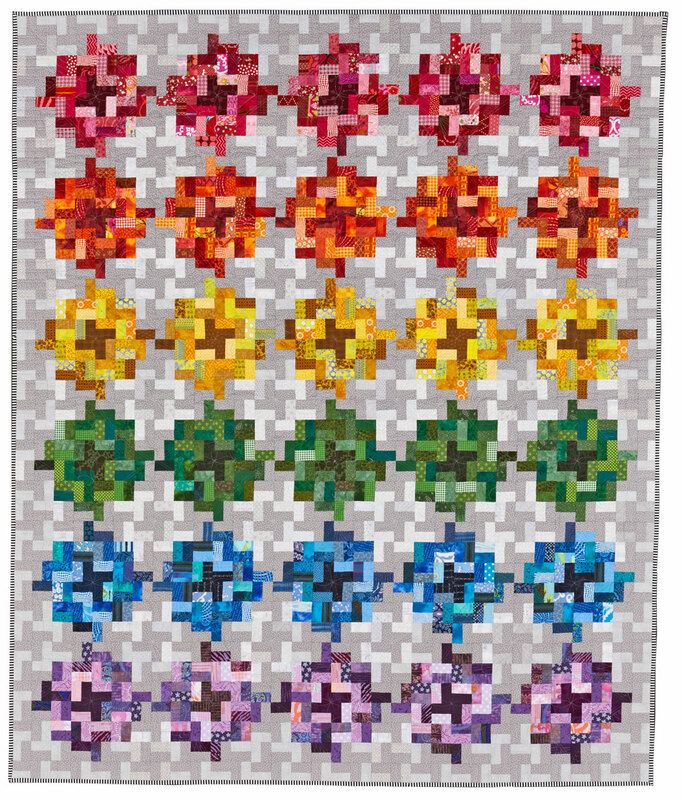 But I began to wonder if the blocks would be interesting enough with just those fabrics. 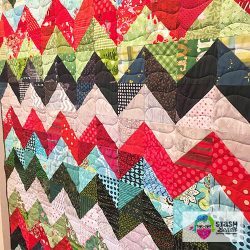 Around Christmas last year, I started piecing a simple chevron quilt made from triangle-squares. 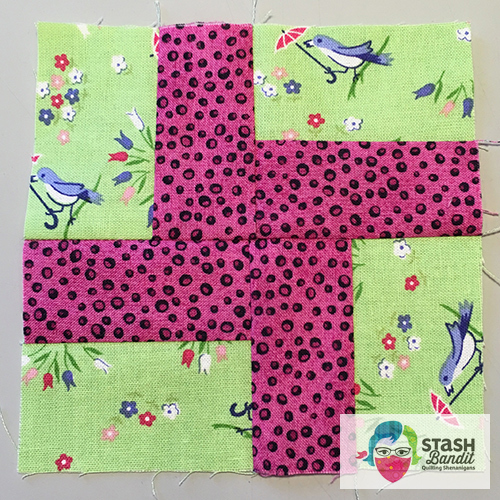 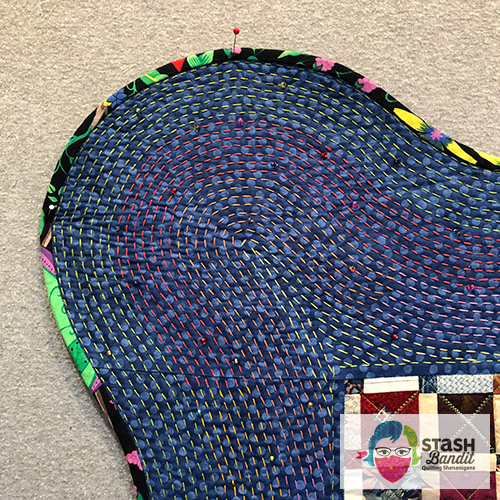 I sewed from my stash and was pretty excited with how it started coming together.